This week the Committee on Natural Resources took up work on a bill that Washington and Oregon representatives are touting as a way to save dams and ensure electricity remains affordable in the Pacific Northwest. But environmental groups say that H.R. 3144, introduced by Republican Rep. CATHY McMORRIS RODGERS and a bipartisan group of lawmakers last summer, would thwart the court system and public process. The bill would in part subvert a court ruling by a federal judge out of Portland that was upheld by the Ninth Circuit Court of Appeals on April 2. The ruling requires the Army Corps of Engineers and other agencies to spill more water over eight dams along the Snake and Columbia rivers starting this month in order to help move more juvenile salmon out to sea. They also were ordered to study options for eventually breaching some dams on the Snake River. McMorris Rodgers and fellow Republican Rep. Dan Newhouse warn the extra spill will impact hydro generation and make for higher power bills. Their legislation would require an act of Congress before agencies could study breaching the dams or take any action that would restrict electrical generation on that system. "The judge's order ... flies in the face of the current collaborative framework that is the result of years of study and stakeholder input," Newhouse says in a news release. "Our legislation would allow the continued operation of the dams under that framework to preserve the benefits of our energy infrastructure while continuing to invest in fish recovery efforts." Environmental groups, including Save Our Wild Salmon, recently funded a poll of Washington voters, with an oversample in Eastern Washington, and found that most people were willing to pay between $1 and $7 more per month on their electric bills to remove four dams on the lower Snake River to help restore wild salmon and improve water quality. "I think people are more willing now to say, 'Yeah, we still need dams, we still need hydropower, but it is time to evaluate different dams and say, 'Are they still giving us the benefits?'" says Sam Mace, Inland Northwest director for Save Our Wild Salmon. 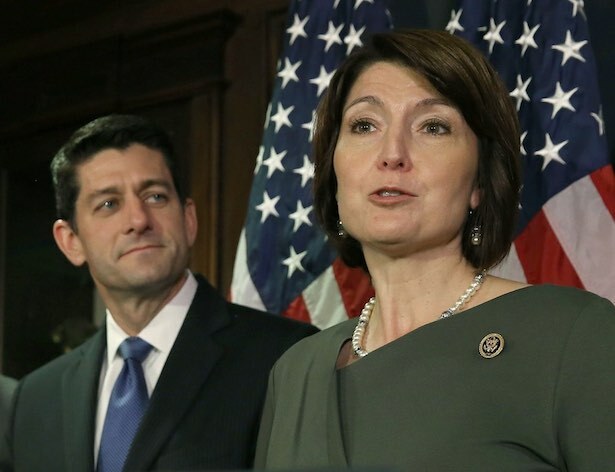 "It's unfortunate that Congresswoman McMorris Rodgers is putting forth a bill that upends science and the public process to figure out how we resolve the salmon crisis."